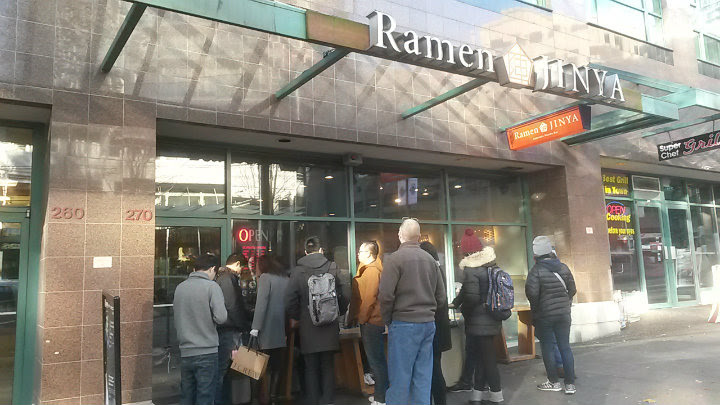 Ramen Jinya is located on Robson Street in Vancouver, British Columbia. You know the place is good when there's a constant line at all times of the day. Of course, it really picks up at peak lunch and dinner hours. It also helps when the weather is clear and chilly. There are several types of ramen to choose from on the menu. A couple of spicy options are there, and there is even a vegetarian ramen available. 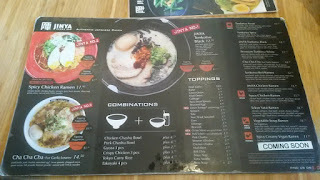 In addition to the toppings already provided in each ramen, you can get additions that range from free (fresh garlic) to $2 more (extra soup). 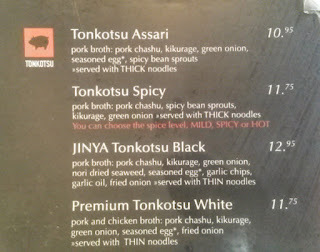 I ordered the Tonkotsu Spicy Ramen ($11.75): Pork broth, pork chashu, spicy bean sprouts, kikurage, and green onions served with thick noodles. 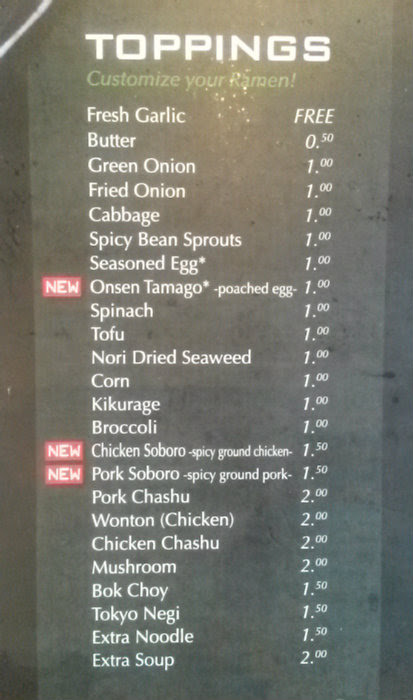 You can also choose the spice level: mild spicy, or hot. I naturally asked for the hottest option. 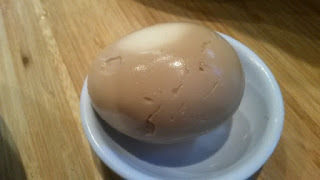 I also added a seasoned egg on the side (soft boiled) for $1 more. 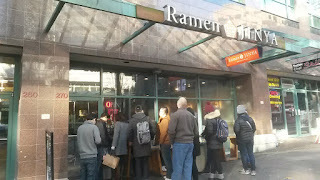 Hands down the best meal I had on my BC trip and one of the best ramens I've ever had. A rich, hearty, and flavorful broth. 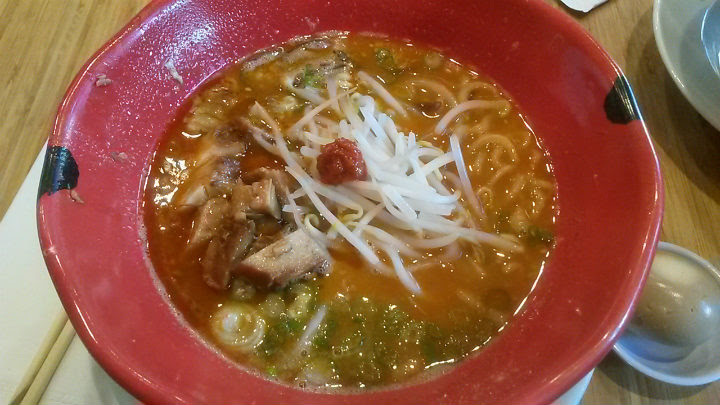 Perfect thick noodles (similar to the Sun Noodles I've had in Hawaii and at Hapa PDX). 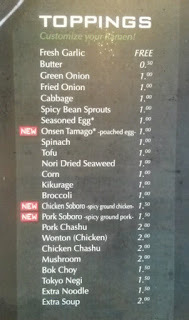 The egg was right around soft to medium boiled, and the chashu pork remained juicy and tender. 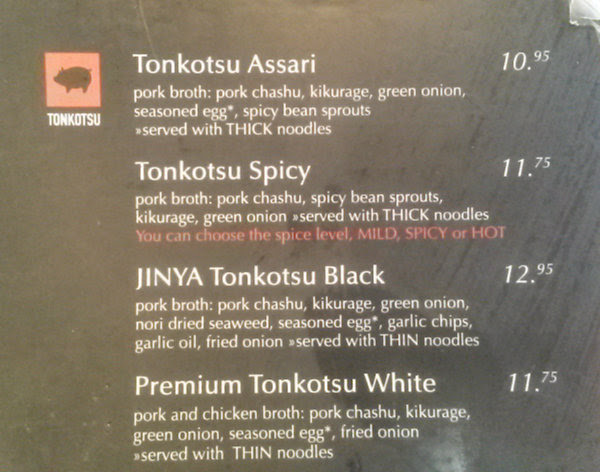 Most importantly, the spice level was extremely enjoyable while providing a bit of throat tickle. It was definitely worth the wait to get this. 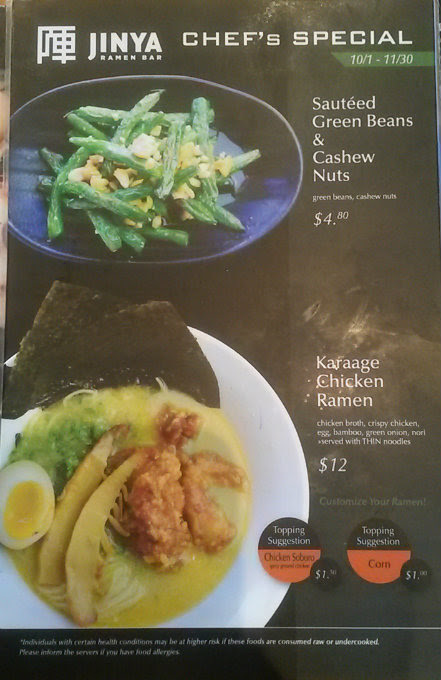 When you also see Karaage Chicken Ramen (ramen with Japanese fried chicken) on the menu, it's basically a matter of what you'll want to try when you get here.